Dog and cat guardians are becoming increasingly concerned about the safety of processed pet food and the possible side-effects of over-use of antibiotics and hormone treatments. This new edition, thoroughly revised and updated, covers Natural Rearing, herbal medicine and disease prevention. This is a very special book written by a remarkable woman. 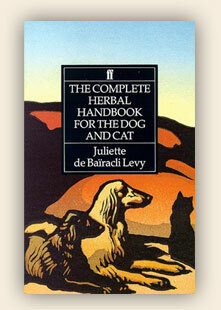 She brings us back to the basics… and brilliance…of natural health for dogs and cats.